Learn how you can schedule a hands-on, interactive science lesson from your very own classroom through distance learning at Discovery Center. Download our 2018-2019 Education Guide to learn about all things scholarships, field trips, outreach, distance learning and more! 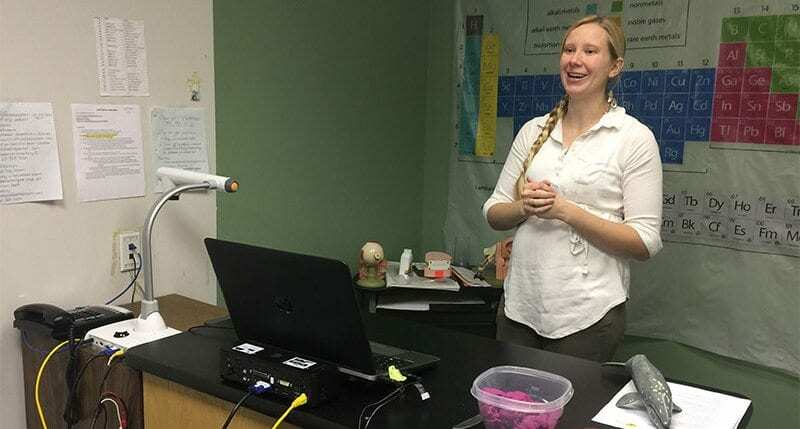 Would you like a standards based, grade level appropriate science lesson taught by a science specialist? We’ve got the perfect program just for you! We’ll even send you all of the supplies you need for the program! Programs must be scheduled at least FOUR weeks in advance. Please e-mail your registration information to ejaeger@discoverycenter.org. For assistance, contact the Education Department at 417-862-9910 ext. 726. Discovery Center of Springfield currently offers a variety of Distance Learning programs via distance learning, developed to support the Missouri Learning Standards and the Next Generation Science Standards. Discovery Center’s distance learning programs enable your class to have a hands-on lesson taught by a science specialist. A kit of supplies needed for the program are shipped ahead of time and include curriculum, pre and post labs, and links to follow-up websites. Distance Learning Fees are listed per program. Includes program, materials, and return shipping.